Available in print and ebook at Amazon. In 1963, thousands flooded the Lincoln Memorial for Martin Luther King’s March on DC. Five miles away, Ellen’s father handed rifles to his children. Three months later, Ellen ran home from school to find her father celebrating President Kennedy’s assignation. Four years later, her father was dead, and she couldn’t understand why the police were charging her mother with his murder. After all, wasn’t it clear her father left no choice: someone was eventually going to die, and at least it wasn’t her or one of her brothers or sisters. Ellen, however, was never prepared for the mother she knew and loved to die along with her father. Afterwards, very little remained of the college graduate, the accomplished pianist, and the self-confident woman marine who had once appeared in the pages of Life magazine. 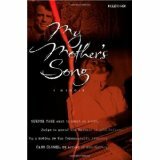 MY MOTHER’S SONG is Ellen’s journey to recapture that other woman – the beloved mother she lost on that painful day.